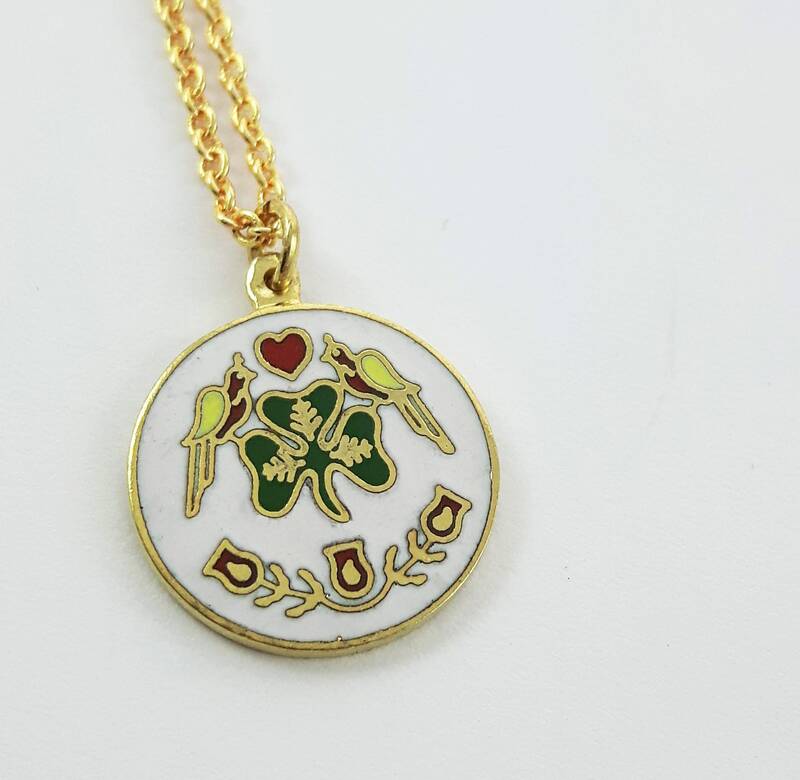 Vintage Enamel Luck of the Irish Charm Necklace. 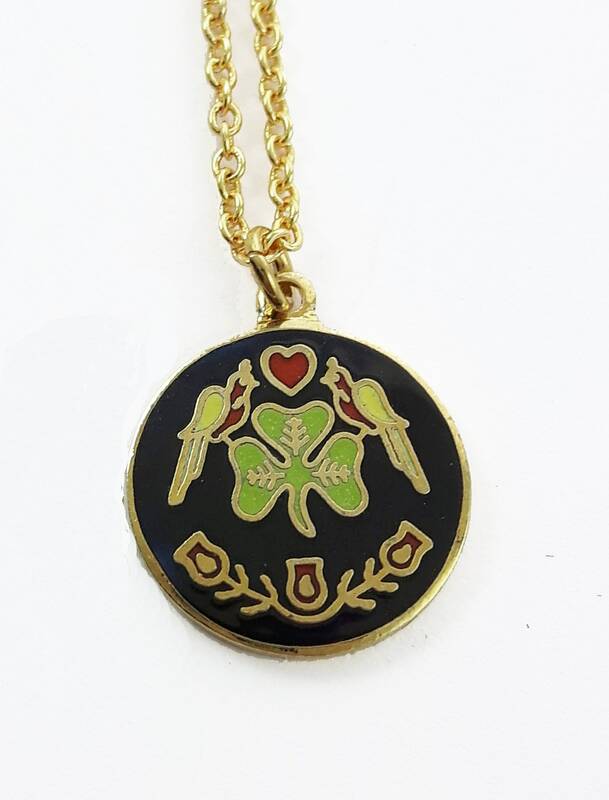 Enamel Shamrock, Birds and Heart Charm Necklace. 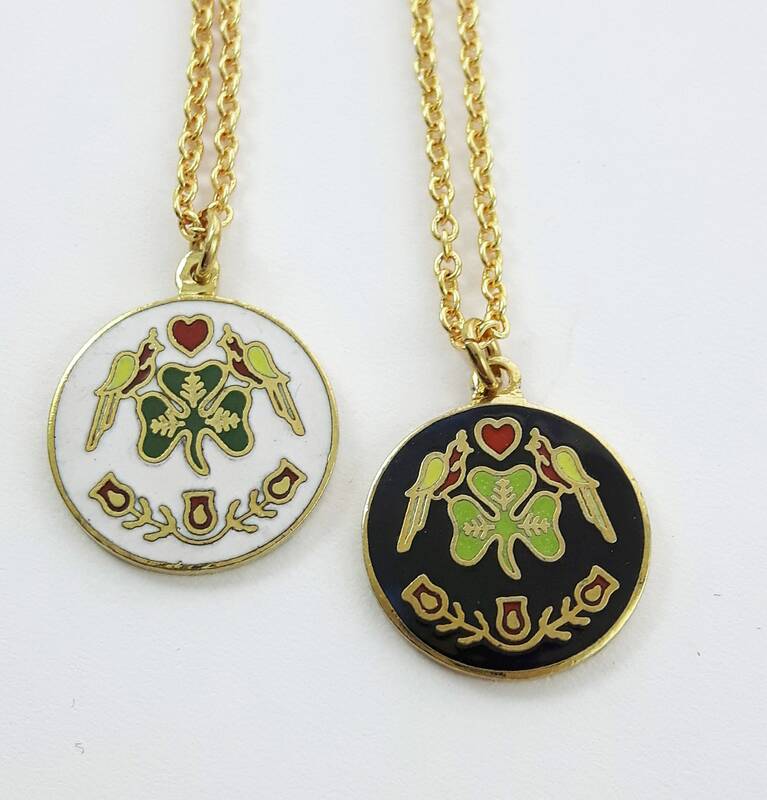 Charm Meaning: Luck of the Irish.